Wired thinks the look and feel of the Pre are superb, the OS is good but multi-tasking drains the battery too quickly. The keyboard is a plus but is too small in use, and the iTunes syncing is a plus for as long as Apple doesn’t block it. Engadget has a mammoth three page review that concluded the Pre is a great phone, despite not being perfect. Palm has got an astounding amount of things right, and this will only improve with some more work. Battery life is OK for what the Pre can do, but not great. Gizmodo concludes that while the OS and apps are ‘agile, smart and capable’, the hardware is a liability. They go on to say the OS offers something genuinely different to the iPhone so deserves support. PCadvisor conclude that the Pre’s ‘eye-catching design and smooth operation make it the most exciting device’ they have seen in a while, even if the lack of memory is a big dissapointment. My own feeling is that WebOS offers some previously unseen abilities in a smartphone, but some features like iTunes syncing (if it lasts) and lack of memory are ill-conceived. Apple announces new iPhone hardware tomorrow, widely rumoured to feature 16-32Gb of memory, so 8Gb in the Pre already looks dated. 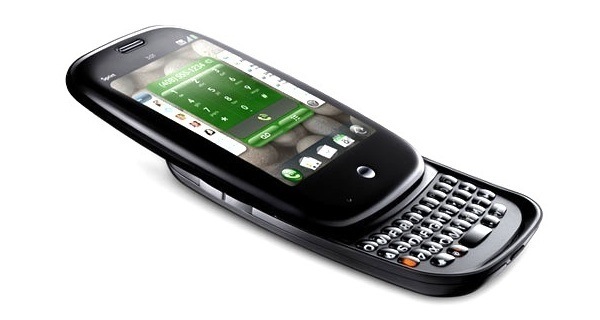 If Apple comes in with a budget 4/8Gb iPhone any advances in the Pre’s WebOS could end up being canceled out by a much lower iPhone price. I can only hope the Palm Pre is enough of a success to stabilise Palm, as the more innovating players there are in the smartphone market the better off we consumers are. So we know the Palm Pre launches in the US on 6th June for $199.99 with a 2 year contract. Now Palmgoon.com have the news (via the Guardian Newspaper) that O2 will offer the Pre in the Uk. That should make for an interesting match, with O2 already offering the iPhone. Speaking of competition, the Palm Goon web site makes no bones about who the competition is, with most of their articles directly comparing the Pre to the iPhone. Anyone would think RIM and Nokia ceased to exist when the iPhone was released. Or is this personal, since much of Palm’s management team are ex-Apple staff? eBooks have been around for several years now, and in many respects are seriously behind other forms of media. While music is making the painful transition from DRM to open formats other media such as films and books are still subject to restricted use. This often makes it awkward if not impossible to view these files on your mobile device of choice.